Though the medicinal virtues of Parsley are still fully recognized, in former times it was considered a remedy for more disorders than it is now used for. Its imagined quality of destroying poison was probably attributed to the plant from its remarkable power of overcoming strong scents, even the odour of garlic being rendered almost imperceptible when mingled with that of Parsley. Biennial. The Parsleys vary considerably, ranging from varieties of very dwarf growth to the large-leaved French Parsley which attains up to 2 feet. Sow seed any time from March to August for succession. Parsley succeeds in most garden soils, but does best in very rich moist soil. 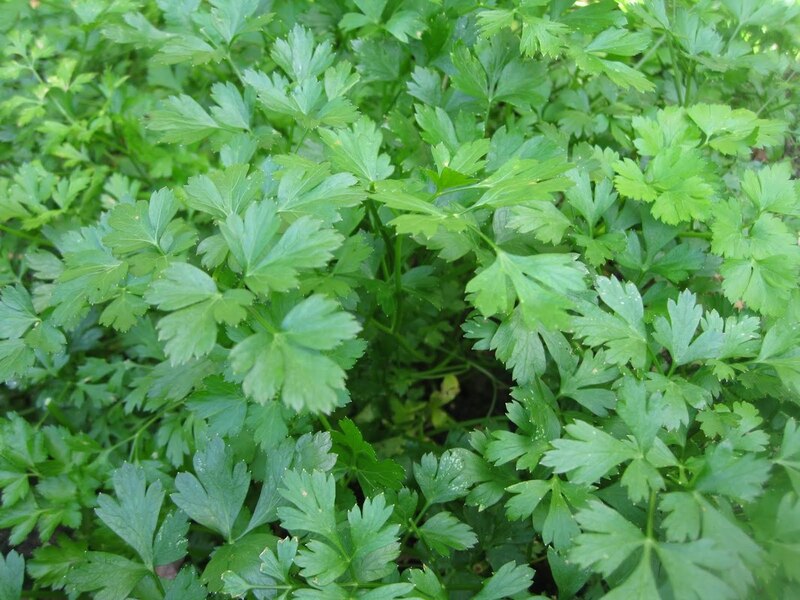 The secret of growing really handsome plants of Parsley is never to allow the leaves of any plant to touch those of its neighbour, even in the seedling stage. Parsley that has been left huddled in rows even for a fortnight never recovers from this ill-treatment. Large varieties such as French Parsley should be thinned ultimately 15-18 inches apart. Several cultivated varieties exist, the principal being the common plain-leaved, the curled-leaved, the Hamburg or broadleaved and the celery-leaved. Of the variety crispum, or curled-leaved, there are no less than thirty-seven variations; the most valuable are those of a compact habit with close, perfectly curled leaves. The common sort bears close leaves, but is of a somewhat hardier nature than those of which the leaves are curled; the latter are, however, superior in every way. The variety crispum was grown in very early days, being even mentioned by Pliny.